Matched to Mayo’s Internal Medicine & Gastroenterology Fellowship! Happy Match Day to all! Just got back from our school’s ceremony and I’m happy to announce that I matched into my top choice for Mayo’s Internal Medicine Clinical Investigator track that also matches me into Mayo’s Gastroenterology Fellowship program! Couldn’t be happier and I am excited that we have the opportunity of staying here in Rochester, MN for the next 7 years. We’ll have 19 colleagues staying at Mayo from our class so it should be a fun crowd. Congratulations to all, next stop graduation May 21, 2011 — and let me tell you, it cannot come sooner! It’s hard to fathom how such an austere letter can command such power to influence the course of the rest of your life. So it begins! Meet Jorge Raul. 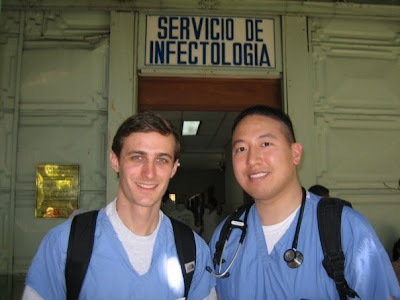 Jorge has never met me, nor have I ever met him, but I have met and seen many faces of Jorge in my recent trip down to El Salvador on a medical mission with Mayo Clinic and Operation Blessing. When you realize that much of the world has it much worse off than you, suddenly life takes on a new perspective. Take for example my experience working with our doctors examining the many old ladies who came into our free rural clinic in El Salvador complaining of muscle fatigue and bone pain. Muscle fatigue was simple: despite their old age, they were still working hard in the fields in the scorching sun to scratch out a living. The bone pain? Easier to diagnose than to treat. These ladies, despite their best nutrition, were calcium deficient and are developing osteoporosis. “Increase your calcium intake” we advised them, advised them until we realize that their nutrition consisted of only rice and beans, day in and day out: “milk is too expensive,” they told us. Cheese was a fantasy. While we took no measures to provide ourselves with any extravagance on this trip, in contrast we were basking in luxury compared to the lifestyles of these people whom we were serving. 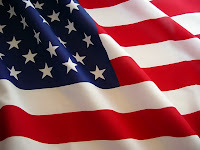 Our $26 a night hotels and “U.S. comparatively half-priced” Benihana’s dinners suddenly carried a lot more superfluous cost when we learned that these people living in the hills had to buy their bottled water on the few weekly dollars that somehow they generated through their agriculture or industry. I could go on complaining about the deprave social condition that we as humanity have let ourselves stoop to, that such circumstances that I’ve described actually exist, but in continuing to do so, I lend my voice to nothing more than the numerous politicians, the bureaucrats, and the institutions that talk the talk of change and do little in effect to make a difference. So let us talk about making a difference. In 2006 Muhammed Yunus, a Bangladesh economist was awarded the Nobel Peace Prize for his work in microloan banking. Gambling against human self interest, Yunus took a chance at the novel notion that poor people nonetheless being poor were still good people. These were people who didn’t want to remain poor, Yunus thought. They were products of social circumstance and were suspended because of no means of upward economic mobility. So, Yunus thus started the Grameen Bank in which he started loaning outmoney to the indigent that had a need for money – a plan for industry, or an idea to help themselves out, and what he discovered was a phenomenon that is growing globally today. There are people like Jorge out there who have an idea, who have an industry, who have a means to get themselves out of the poverty that is tethering them down — but they lack the equity, the first chance, and the gamble of trust that most financial intuitions operate by when they calculate the odds of their institution ever seeing the money they loan again. Here’s were you and I and Kiva.org come in. Jorge is 42 years old and he lives with his wife and children. He has three children that are the ages of 15, 9, and 4 years old. They are all in public school. Jorge sells chicken and his wife sells food, and they used to always have leftovers. They always used to have to pay people to take away the leftovers until Jorge got the idea to raise pigs and to feed the leftovers to the pigs. He now has 180 pigs. Jorge needs $525 to buy live pigs and food for them. 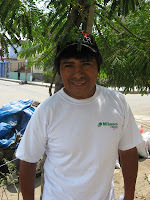 Since Jorge has been in the group Finca, he has progressed economically. Also, he has learned to be punctual in making his payments on loans for his business. Jorge’s dream is to buy a truck for his business. Merging Yunus’s microloans ideas with the global reaches of the internet, Kiva has harnessed the individual’s capacity to make a difference. Philantropy now crosses all boundaries as individuals can help individuals directly for as little as extending a $25 loan to someone in need. The beauty of this social experiment is that Yunus’s gamble paid off. To date, over 98% of his loans are repaid, and Kiva through their affiliate partners boasts similar returns. Though this is but a small step in the marathon humanity runs against poverty, it’s one small step that I’ve taken to make a difference directly in someone’s life. You can choose to donate separately to Kiva if you wish, but Kiva, unlike many other institutions that will skim your donation, assures you that 100% your money is going where you intend it to go. Today I experienced thundersnow for the first time. It was lightning and thundering while it was snowing. I happened to be a friend’s house at the time and I had no idea why she kept calling it thundersnow. I’ve never even heard of such a thing. It was awesome. Her house has big windows overlooking a few acres so it was the perfect place to be for such a storm. We got a few inches of beautiful snow and even went outside to play in it. The thing about Minnesota snow is that we get a lot of it and it sticks on the ground for months, but it is rarely warm enough to go out and actually play in it. But when it snows in Februrary here, apparetly that is the best time because usually it warms up enough to go out and play. We tried to build a snowman in the snow today but managed just a little one. I shoveled my front walkway today for the first time too. Usually the association takes care of it, but Mikey wanted to play outside and I figured it was about time I try it out for myself. I have a great neighbor and we share the front walkway and she always out shoveling it. I guess I can check that off my things I’ve done in this life list: “I’ve shoveled a entryway.” It’s about time. Guess that’s what I get for living in Texas my whole life. He’s got one adventurous life. We can’t wait for him to get back. It’s so quiet without him. Oh, and Dan got his citizenship too. 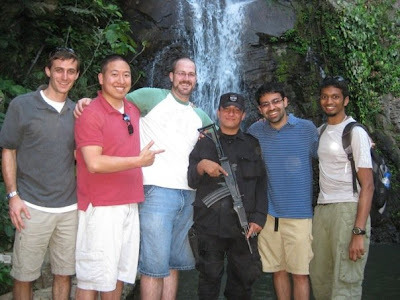 We went up to the cities for the little initiation ceremony before he headed to Central America. He began appling for citizenship when we got married. Let’s see, that only been what… about 5 years! It’s crazy how hard they make it to become American. Those of us who were born here shouldn’t take it for granted. He can now vote and enlist in the army. Congrats Dan. Our kids get automatic Canadian citizenship on the other hand. Sunday November 16, 2008: Travel 350 miles by car from Rochester, MN to Chicago O’Hare, hop on a connector flight to Dulles, Washington D.C., enjoy a three hour layover, jump aboard another plane for an 8-hour flight to London Heathrow, figure out how to use the London Underground system and buy an Oyster card, jump on Monday morning’s 7am commute to St. Pancras station. Tuesday November 18, 2008: Visited the Palace of Versailles, the Hospital Museum (Musée de l’Assistance publique – Hôpitaux de Paris) and walked by Notre Dame Cathedral by night. Ascended the Arc de Triomphe, and ended up in Montmarte for dinner and shopping. Wednesday November 19, 2008: Revisted and ascended Notre Dame Cathedral (Notre Dame de Paris) proper, saw the museum and crypts of Notre Dame, walked through Hotel Dieu and then saw 2-million skeletons in the Catacombs of Paris. We finished the day blitzing through the Orsay Museum, blistering our feet through the Louvre and finished the day at Place Monge, which ironically enough was not happening at all at 10:30 pm at night, though we managed to sup on escargot outdoors at a cafe that spoke not a speck of English. Thursday November 20, 2008: 5 am Eurostar trip back to London was equally not the most exciting though we arrived plenty early in London to beat the opening of most places at 10 am. We hit up the British Museum, ate out of the supermarkets where food was actually affordable, and visited the Hunterian Museum of John Hunter (1728–1793) as we came in part to study history of medicine by also reading the biography of John Hunter: The Knife Man. We went by Westminster and Parliament but by 3 pm apparently the sun sets in London so we decided to go crash and recoup from sleep deprivation early. Friday November 21, 2008: London Bridge (Tower Bridge), and the Tower of London started off our day, and effectively ended the daylight too since there was only about five hour’s worth. We took a boat to Greenwich and straddled the Prime Meridian with a foot in each hemisphere. A walk through Leicester Square and Trafalgar Square ended our evening. Sunday November 23, 2008: After a night slouched in the Heathrow airport, reverse Sunday November 16, 2008th itinerary from Heathrow, add 1 hour of lost luggage in Chicago, and we’ve made it back home from our week of too much fun which was catalyzed by the two of us discovering $48 round trip tickets to London from Chicago. Well I’m hopelessly behind in my blog, and out of time to do much updating as my 5 weeks of summer has wound down. But needless to say I had a great summer, 2 weeks of which I spent with a classmate David, and his wife Meghan in China all over the place. I’ll fill in the details as I revise this post eventually, but in the mean time I wanted to include the pictures (note I’m still filling in captions so eventually they’ll be all updated) that I took for everyone to get an early look at prior to my eventual detail filling. Enjoy! I never really understood how Complimentary and Alternative Medicine (CAM) really could be reconciled under western medicine but apparently it can as Mayo has some physicians – even western trained that practice both western and eastern medicine. I did a short research assignment this week on chiropractics and from what I found in PubMed, contrary to the popular belief that it has quite frequent complications, while it doesn’t usually offer a curative solution, chiropractics adverse side effects are extremely rare. I’ve updated my mentality towards CAM to be: “if it doesn’t hurt you and science (western medicine) can’t help you, you might as well pursue CAM — if that’s what you want to do. I’d hardly recommend it to a skeptic though as I feel it still has a self-satisfying quality to the field in general. Now I am still extremely skeptical about such practices as reike that channels energy without even touching you, but I’m all for the massage therapy and the acupuncture that we had a chance to try and experience for ourselves this week. I opted not to try the acupuncture when one of my classmates nearly passed out after getting some pins placed in his ear, but hey, anecdotal evidence from the acupuncturist (also M.D.) was compelling enough for me to be accepting (though not advocating) of it. 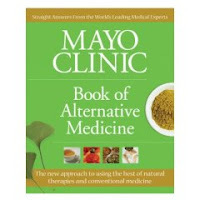 On that note, to those that like to grow their own herbs and brew their health potions, check out the Mayo Clinic published Book of Alternative Medicine – one of the authors came and lectured to us and gave us each copies. They give their do’s and don’t to many popular home remedies out there. I spent the greater part of this selective learning about clinical research as I’ve started a project studying atrial arrhythmia’s in patients undergoing hip surgery. We’ve met with statisticians and our work is in progress and I will report more on this as it is presented and published. 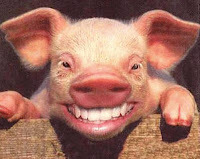 Weeks 31-32: Surgery Sective – Fresh Frozen Virtual Living Pigs? I guess I really need to be less meticulous when it come to life, take blog writing as an example. The current date is September 30, 2008 and this article is pre-dated back to April, that’s a good 5 months behind, but I guess this call-it-what-you-may “attentions for detail” helps me out in at least considering surgery as an option. We spent a week this selective learning and practicing some basic skills on tissue, on simulation, and then I real live pigs! It was pretty interesting as we learned some of the ins and outs of suturing, knot-tying, making incisions as we worked on day one on some fresh frozen tissues next to some ENT residents who were also working on their skills on dismembered heads. Despite being acclimated to this type of environment I still find it very surreal and disturbing that yes indeed there is much ‘practice’ in medicine, and sometimes in the most morbid of circumstances to say the least. I mean no disrespect in saying so though as I am extremely grateful for the donors who are willing to help in medical education — it just seems so primative though for how far along we’ve come, I would’ve thought that an entire anatomy dissection would have been in full 3D high definition tacticle reproduction right now – I guess I’m realizing that I just don’t have the greatest stomach for gross (in all of meanings) anatomy and perhaps that I’m lowering pathology and radiology from my list of possible career choices. Strangely enough I find surgery fascinating though and I guess the ‘gross’ factor dissipates a little more in ‘real life.’ I shadowed an orthopod doing hand and shoulder surgery this week and saw a rotator cuff repair as well as a procedure that removed some bones in the hand. We also had a session in Mayo’s Sim Center where we did virtual colonoscopies, endoscopies, knot tying and sutures with instruments, and even a gallbladder removal that we ended up performing on a living though anesthetized pig! The good news? We got the gallbladder out without the pig crashing. The bad news? Wilbur’s prognosis despite the fact was still terminal as they don’t wake him up from that sleep again. I guess you can think of it as a better cause than $14.99 in your butcher’s case though. Poor pig. Well that was a taste of surgery for me, another step into a confusing realm of seemingly endless prospects to my intial urge to “want to help people.” Now I just need to figure out how. Finishing another block pushes me another six weeks behind on the blog, but it suffices me to say that all’s well that ends well, and so it was with microbiology and pharmacology. Actually microbiology was really interesting and hopefully on my week by week recap I’ll be able to highlight some of my favorite microbes for your entertainment. Pharmacology on the other hand was not one of the most organized classes we’ve had here (thankfully microbiology was one of the best), so sometimes lectures went long and tangential. One day in the middle of the block I was slouched over, daydreaming, and more or less catatonic when all of a sudden in a cacophony of forgotten-to-be-muted rings and chimes I was startled back into reality as my phone started ringing, notifying me of a new text message, a new voicemail, an email, and an instant message–it was a wiialert! I didn’t have a moment’s time to lose as I knew that I had to act fast. Faster than an orderly running for a crash cart on a coding patient I was at Amazon.com within seconds checking out with 3 Nintendo Wii’s for a pricey $750. They sold out again within a minute’s notice but my order which I had attempted many times prior had finally gone through. So the story ensues with 42 of my classmates + 1 world renown lecturer looking in my direction as I pursued the three elusive Wii’s. I had postings up on Craigslist and the Mayo Classifieds within minutes, and within minutes I had two calls from people who were already interested in buying them. There was just one problem: I didn’t have any of them in hand yet. One of the callers however decided to stick with me and he became Wii #1 starting my story of the three Wii’s. Wii #1 went to a man who’s wife went in for surgery at Mayo and needed something to keep her entertained while she would be recovering for the next few weeks. He showed up in leathers looking like he was ready to kill, I thought he might be with Hell’s Angels as he unrolled a wad of cash and gave me a cool $300. I was waiting for the ATF and FBI to jump me at any moment and I think I still am. Wii #2 “Hi this is so and so from Luther Midelfort Northland am I speaking to Dan?” is what I heard when I picked up the phone. Confused and swearing that I heard that so and so was from Dunder Mifflen I was bracing to retaliate against this unsolicited sales call on my donotcall.gov phone number. I was pleasantly surprised however when the individual on the line inquired about the Nintendo Wii and I was even more impressed that they turned out to be a Mayo department. “Umm sure I can take a corporate check, and send it through the Mayo intraclinic courier system… or I could drop it off to you…, wait, you’re in North Wisconsin! ?” Wii #2 is pending a Mayo Clinic billing department corporate check. I sold a Nintendo Wii to the Mayo Clinic! Wii #3 Went out the door this morning. I had just come in from playing with Mikey outside in the 1/16th of a inch of snow we received last night when I got a call from a desperate women on the other end of the line. “Are you Dan? 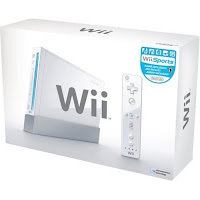 Do you still have your Wii available?” I told her I did and was immediately barraged with “Thank you thank you thank you thank you – you are my hero – thank you! Can I buy it from you right now and can we meet half way?” Considering the notion that I would need to get ready and go somewhere I was caught off gaurd on this lazy Saturday morning and mustered up little better than a prolonged “Ummmm…” “Well you see, my best friend is having a wedding and it is right now, and I’m the bridesmaid, and I didn’t know these damn Wii’s were so damn hard to find in the whole city (try the whole country I thought to myself), and now I’m late and I need one to give to them because that’s what they wanted and I’ve been looking all morning.” *Sigh* fine, I can get ready I thought to myself, heck I can even dig up a gift bag for it, but what frightened me was what she asked next: “So how much does a Wii usually cost? Is there anything wrong with the one that you are selling? Can you promise me that it will work?” This is an example of a very bad buying situation for the buyer, had I been a malicious salesperson I could’ve probably exploited this situation pretty badly and left the buyer out of money and out of luck. But being the nice guy that I think I am I only scooped her for the $50 commission and now in turn have christened a wedding with a Wii. So there really wasn’t much of a point to this post. Sure pharmacology was probably the worst of times, and this wii alert in class that day probably was the best of times, but the real enjoyment that I had from the sale of these three Wii’s wasn’t the fact that I could pay our utilities for three more weeks, but rather the three little crazy vignettes that I otherwise never would have acquired. So the moral of the story is: if you ever stumble upon a stash of Wii’s one day, maybe try picking one up and if not to play, list it for sale and see what comes your way.